The most common symptoms of Zika are fever, rash, headache, joint pain, red eyes, and muscle pain. Zika is spread mostly by the bite of an infected mosquito. Prevent Zika by avoiding mosquito bites. Zika can cause birth defects and is linked to Guillain-Barré syndrome. Essential information about Zika for pregnant women and couples interested in conceiving. Stay informed about Zika in the United States. 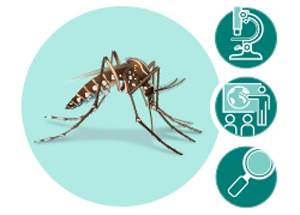 Up-to-date guidance, resources, and training for providers evaluating and caring for patients with Zika. CDC has a surveillance system for collecting data on Zika virus cases. Prevent the spread of Zika by controlling mosquitoes in and around your home and community. In 2018 and 2019, no local mosquito-borne Zika virus transmission has been reported in the continental United States. If you are traveling outside of the continental United States, see Zika Travel Information to learn about your destination. Use Environmental Protection Agency (EPA)-registered insect repellent to protect yourself and your family from mosquito bites. Treat clothing and gear with permethrin or buy permethrin-treated clothing and gear.